To resolve to do something is to decide firmly on a course of action. For a leader, it means closing off of some alternatives and visions so that you can direct all of your resources and time into one coordinated effort. When you resolve to do something, you do not waffle, waver, or wander; you step out confidently in a predetermined direction. Strategies for reaching your vision can change. The timeline may be modified. The team may be shuffled. But, ultimately, your vision and conviction must stay the same. Your initial resolve is the foundation on which the entire structure of your efforts will be built. Can I achieve what I have set out to do? At Sterling Integrators, we have been inspired by the process the Society or Jesus (or, the Jesuits, as they are more commonly known) uses to answer these same questions. 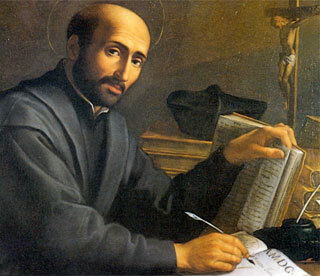 A 16th century Spaniard named Ignatius of Loyola founded the Jesuits with the intent of building an elite and loyal group of mission-minded priests. Knowing that the path of priesthood was long and difficult, Loyola wanted to select candidates who would make their vows with absolute resolve. He found that a long and rigorous period of self-discovery, like he himself had gone through, was essential to making such a major commitment. Today, the process of becoming a Jesuit still reflects Loyola’s emphasis on self-discovery and careful decision making. All Jesuit candidates must spend two years of intense introspection and discernment that includes the following: silence, reflection, prayer, study, discussions with mentors, pilgrimages, and service to the most marginalized members of society. Through these experiences, the novice begins to answer the questions, “Why am I doing this?” and “Can I achieve the goal that I am pursuing?” At the end of the two years, the novice decides whether or not he has the resolve to take the final vows of poverty, chastity, and obedience. What do I most value? What do I most desire? What is the best way I could spend my time? What are my weaknesses and can I minimize and work around them? When the answers to these questions are aligned with your vision for the future, you will have the resolve necessary to move forward. The questions “Why am I doing this?” and “Can I achieve my goal?” will certainly return to you, especially when the going gets tough. But you will have the benefit of knowing that you did not set forth on your journey haphazardly. And you will see that although your resolve is being tested, it will remain intact.